Stitch This! has become one of our most successful programs here at The Watermark at East Hill. On any given Tuesday afternoon, you can hear the clicking of needles and the hum of soft voices, as participants work diligently on their latest project. 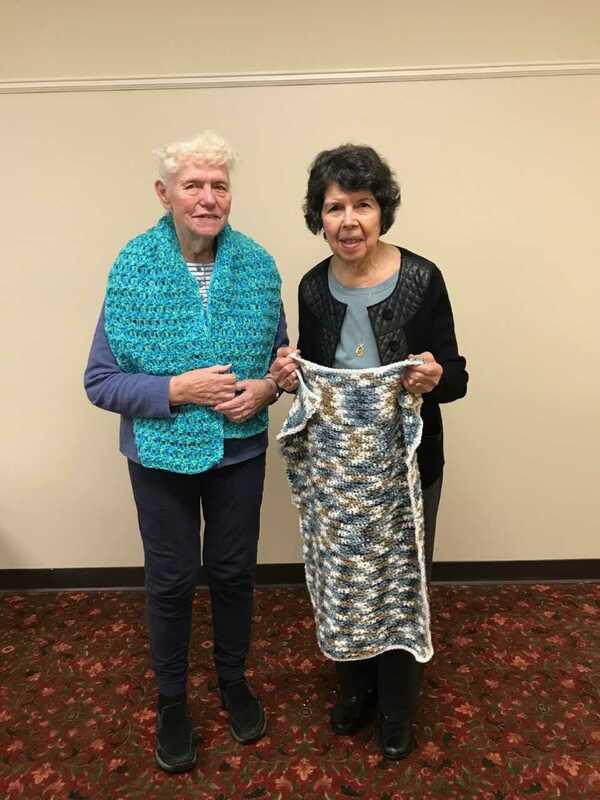 Lead by instructors, Karen Liotta and Marcia Bartow, participants learn new stitches and ways to create new patterns, they get to know and chat with peers and share stories and laughter, all while knitting for a great cause. 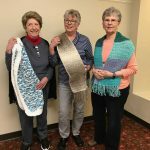 It all began with a Twiddle Muff project making muffs for those suffering from Dementia and Alzheimers living in our Community. 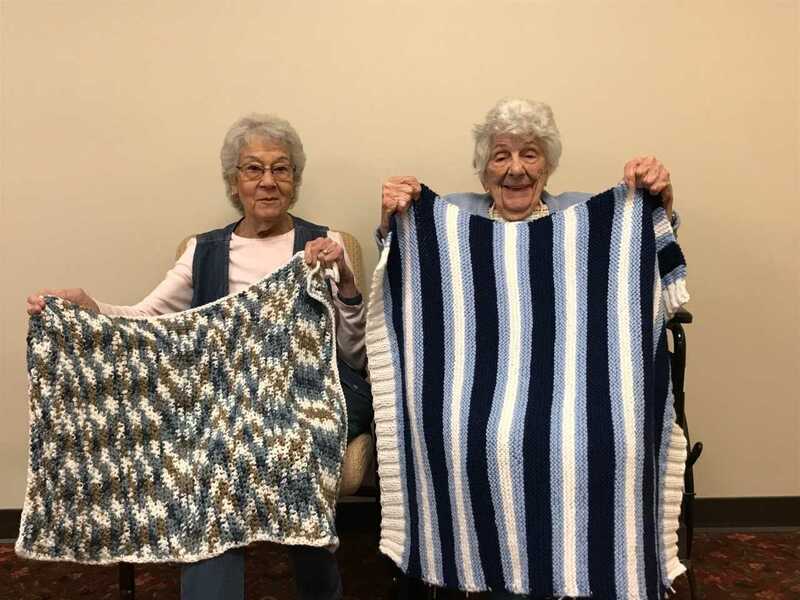 The spirit of giving had taken hold and soon they were making lap blankets for those who needed some comfort and a little hug of warmth. As this group continues to thrive, they have partnered with The New Morning Market and the Woodbury Senior Center. 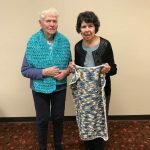 Combined, they have joined efforts and are crocheting and knitting projects for Safe Haven of Southbury, The Lutheran Home and The Watermark. 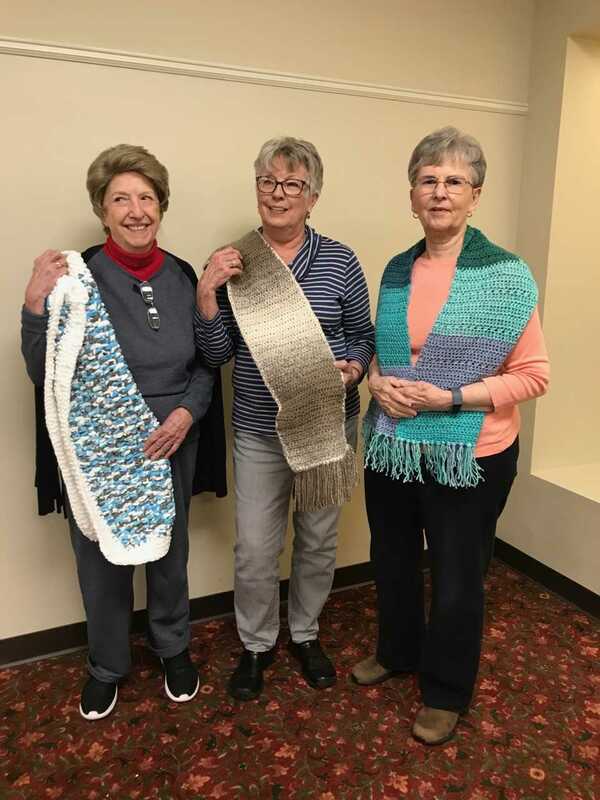 Currently, purple shawls for victims of domestic violence are being crafted and will be donated to the Connecticut Coalition Against Domestic Violence. 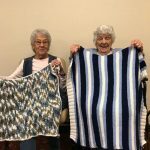 Knitting and crocheting can help improve seniors’ emotional well-being, improve cognitive and physical abilities, and enhance quality of life. Stress relief, improvement of self esteem, sense of accomplishment and personal growth, renew passion, socialization and a sense of purpose are all key benefits to those involved in the group.